This entry was posted in Recent Posts and tagged Audrey Dawn, Boulder Canyon, Childhood Escape, Colorado, Have I lost you forever, I wanna go, Pain, Photography, Poems, Poetry, Poets, Rivers, Rocky Mountains. Bookmark the permalink. Defining devotion in a poem, that is perhaps the only way to really understand the emotion…so much that goes into it, every emotion expended. There are places that bring out the same with me, happiness/sadness, excitement/serenity…tough to define what on the outside seems like contradiction which is devotion. You have a way of wording my thoughts so much better than I. Thank you for sharing your version of beautiful poetry, which is how this comment reads. Do you write poetry, as well? I need to have a look. Wow, this is lovely–I especially like, “a soft place to fall into actualities”–perfection! Has my poet’s silk spooling out, ready for sewing…. I’m so glad you enjoyed it. I appreciate you telling me, as well. Good luck sewing. 🙂 How sweet! Wow…beautiful, Audith. Like a song! My favorite line: Rivers flow, a one way road. Thank you so much, Duke. Is it? Wow. Glad you like it. This is one of my favorite places in the world. That line is loaded with meaning. Where is the pic? What meaning? 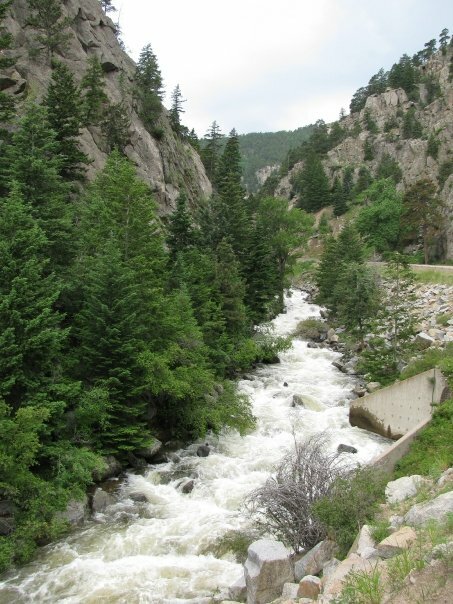 This is a picture of Boulder Canyon, CO. It very well may be my favorite place on earth, Duke. Although, I haven’t been very far, so it is relative. Rivers flow one direction, love sometimes is one sided, feelings flow from only one direction, greater good can be approached from only one direction,…those sorts of meanings, is what I meant. That’s true. Coolio! The font’s changed, huh? Yeah, I dissected a worm a long time ago, and I don’t think they can smile either. I did too, and I don’t remember. Oh, it must be a little jam or something.